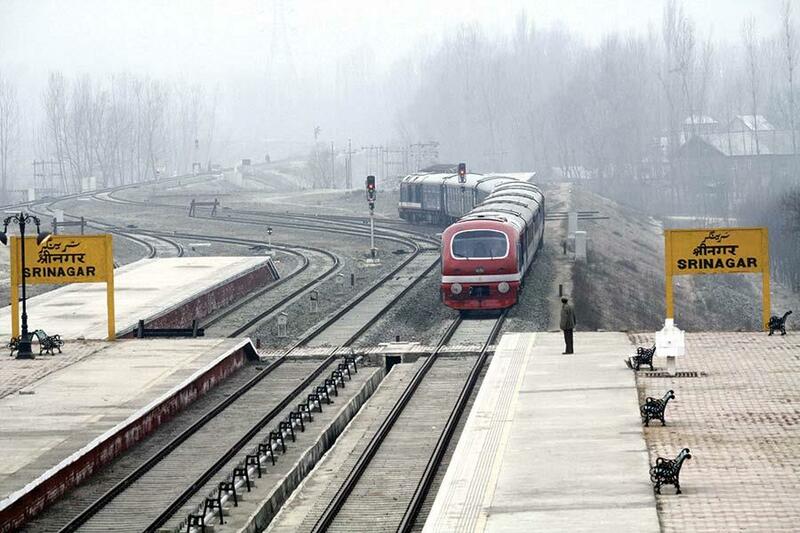 Srinagar, Feb 12 : Train services remained suspended on Tuesday for security reasons in south Kashmir, where an encounter ensued between militants and security forces in Pulwama early this morning. However, train service resumed in north Kashmir this morning, a railway official told TNN. Therefore, he said, trains will chug as per schedule on Srinagar-Badgam and Baramulla in north Kashmir. He said a fresh advisory was received this morning to suspend all train runs on Badgam-Srinagar-Anantnag-Qazigund in south Kashmir to Banihal in Jammu region today. No train will run on this track till further orders, he said. Meanwhile, large number of passengers, who had arrived at different Railway stations on this track were very disappointed and agitated after they were informed about the suspension of the service. Since there was no strike today, suspension of train service will provide a field day to cabs and other public transporters who are charging more as compared to train fare. There were large number of passengers at different railway station between Badgam-Srinagar and Banihal track, official sources said adding the passengers had to use other mode of transport to reach their destinations. Train service in the valley was suspended due to heavy snowfall on February 7, after two trains operated on Baramulla-Srinagar-Banihal tracks. However, train service was resumed on Srinagar-Badgam-Baramulla in north Kashmir track on Sunday, he said. However, trains could not operate on Badgam-Srinagar-Anantnag-Qazigund in south Kashmir and Banihal in Jammu region on February 8 as a precautionary measure following encounter between militants and security forces in Kulgam. Five Hizbul Mujahideen (HM) militants were killed in the encounter. Trains could not run in the valley on February 9 due to strike called by separatists on the 6th death anniversary of Parliament attack convict Afzal Guru who was hanged and buried in Delhi’s Tihar jail on this day in 2013. Though train service was resumed on Sunday in north Kashmir, remained suspended in south Kashmir as a precautionary measure. Train service was again suspended in the Kashmir valley from Baramulla to Banihal yesterday for security reasons following separatist strike call by separatists on the death anniversary of separatist outfit JKLF founder Mohammad Maqbool Bhat who was hanged and buried in Delhi’s Tihar jail on February 11,1984. Train services will be resumed in south Kashmir only after receiving green signal from divisional administration, including police, he said adding, railway department has to act as per the advice of administration.